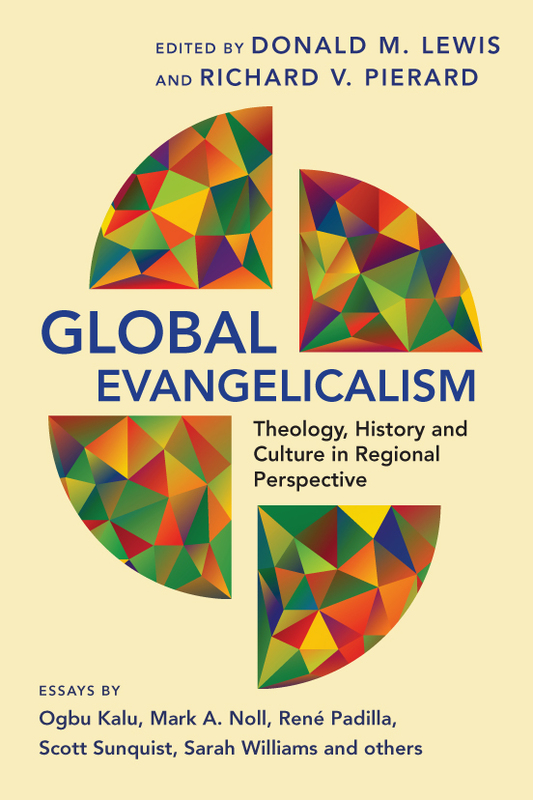 Lewis, Donald M. and Richard V. Pierard, Global Evangelicalism: Theology, History, and Culture in Regional Perspective. Downers Grove, IVP Academic, 2014. Reviewed by Jerry M. Ireland. Its rare to read an edited volume and find very little to criticize. This, though, is precisely the case with Global Evangelicalism. This text quite simply is an excellent introduction to the varied and complex nature of modern evangelicalism. In fact, I’m somewhat hesitant to label it an introductory work, because most introductory works tend to oversimplify. This work does not. Instead, it underscores the complex issues involved in formulating an evangelical identity, historically, theologically, and culturally. In doing so, it highlights both the strengths and weaknesses of the movement, and offers ample fodder for scholarly and practical reflection on the future of evangelicalism. Rather than summarize each of the chapters, I shall instead focus my review on what are the important strengths and weaknesses of the work. And I will do this in light of the author’s stated goals of helping both insiders and outsiders better understand the global and diverse nature of evangelicalism. Perhaps the best part of this work is the broad sweep it offers of the global evangelical movement. The editors have rightly chosen to extend their gaze beyond the shores of the United States and Great Britain, and included essays by some of the leading scholars of evangelicalism from across the globe, including preeminent scholars such as René Padilla and Ogbu Kalu. One might think, though, that such a broad sweep would lack in depth and detail, but that is not the case. Yes, the authors tend to present the usual suspects on evangelical definitions, theology, and history (for example, Bebbington’s quadrilateral), but they also offer some insightful and less well-known critiques, such as Kalu’s observation regarding the way in which evangelical shortcomings in West Africa contributed to the spread of Islam in that area (chapter 5). If there is a weakness to this work, it would be that I found myself wanting more, especially in regards to part III, “Issues in Evangelical Encounters With Culture.” The issue of evangelicalism and culture is, in my view, the arena for which the future is most uncertain, and so it would have been nice to have more than the two excellent chapters in this section on ecumenism and gender. For example, given that marriage equality and LGBT issues are among the thorniest issues facing evangelicals not only in the west but also in Africa and other parts of the world as well, an article on this topic would have greatly added to the volume. Also, though several chapters reference evangelicalism’s response to the poor and the need of social concern, an in-depth discussion of the prioritism-holism debate would have helped the unaware reader better understand one of the more divisive issues among evangelicals. But these are very minor critiques, and without a doubt, the authors could not have addressed everything. Overall, this text makes an excellent resource on the global nature, unity, diversity, history, and potential of evangelicalism. For the uninitiated, it provides insightful scholarly reflection from some of the most knowledgeable scholars on this topic. For those who have studied evangelicalism in some depth already, this text too will prove valuable as it implicitly hints at numerous avenues for further scholarly study. For example, when Padilla warns of the dangers inherent in rapid numerical expansion in Latin America, and of growth apart from a biblical understanding of the kingdom of God and the mission of God, I find myself compelled to consider this statement in the African context and in reference to the often lauded growth of Pentecostal-Charismatic Christianity there. In sum, I highly recommend this text to academics, missionaries, and to non-Christians who desire a more accurate and robust understanding of evangelicalism around the world. And, I would hope that many of evangelicalism’s critics would also read this work, as it would surely temper some of the more unbalanced and ahistorical accusations leveled against it. Disclosure: Thanks to Alisse Wissman at IVP Academic for providing a review copy of this text. However, the opinions expressed in this review are entirely my own.